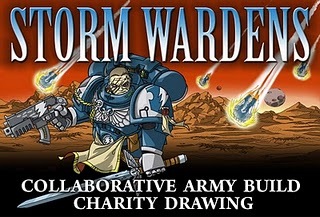 From the Warp: Support Heroes of Armageddon! 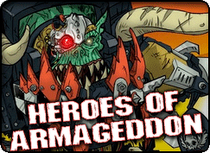 I am crazy excited to announce (although I am slightly behind) my participation in the upcoming Heroes of Armageddon Project! In the last 4 months our world has seen some extraordinary disasters, both natural and man made. The people in the Middle East and Africa have been battling their governments and each other for a different and hopefully better future. Many, many people died and got hurt and this is still going on today: in Libya, in Ivory Coast, in Syria and in many other places as well. We cannot change any of these things by ourselves. But we can help support organizations that go to Africa and Japan, people that risk their own lives to better the life of a stranger. One of these groups is Doctor without Borders. An amazing organization and I am asking you all to check out their news feed here. DWB go to places where most organizations have left and try against odds to fulfill their oath: to help people in need, really really in need. And they need money. And thats where we come in...last year you all raised over 16,000 dollars for this amazing charity with the Storm Wardens Project. Here's the link, the page is still up. And yes, it was all YOUR success. We just opened up a PayPal account and built 2500 points of models. But you all showed that our community can come together and do something amazing. Every dollar that you support the project with gives you a chance to be one of the lucky four at the end of this drive. So 10 dollars of donations buys you 10 chances. 100 dollars means....right, you got it. At the end of the drive, in July, we will randomly choose the winners. In short: the more you donate, the better your chances. More importantly, the more you donate, the more you help all of us to make the world a better place. These four wonderful modelers were so kind to say yes to us and have committed to finishing up these armies in an amazing way: creative, fresh and with a great paint job. 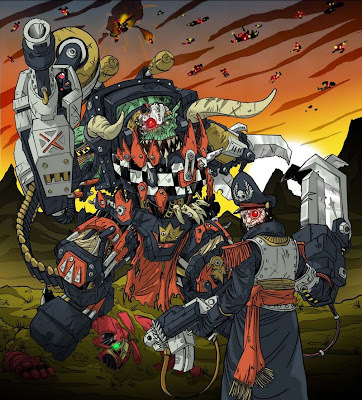 Through these guys, we have been able to lock down 3 Golden Demon winners to paint the centerpieces of the armies and have created a total build team of close to 20 to 25 people, all of which are wonderful artists and gracious with time and effort for this cause. More on all of the participants next week. Thanks to my FLGS, I did a weekly prize too! And the weekly prize model I painted up for a lucky winner! Just like last year, as our way of saying thanks for your help, we will enter you in a weekly prize drawing once for every dollar you pitch in so not only will you be helping a good cause, but you might just win something amazing for your trouble. Everyone who has supported the project up to that point will be eligible to win. The prizes will be really, really nice. Put this button on your page with the link above. You can help spread the word and link to the heroes site and the site of the bloggers involved. Why not create a special blogroll for this? That would help immensely. you can send us models that we then distribute to the teams that need them. A list will go up soon with requests. Last year's Army winner Jacob, watch a video of him at Games Day receiving the Storm Wardens Army Grand Prize. As for my role, I am trying to weasel my way into as much as my schedule will allow. Unfortunately, that's not much, but I have some cool things I'll be doing for one of the armies. Once I get my act together, I'll let you all know what I'm planning on working in the coming months. It's great to see the old site running again! And a great project to showcase on the first post of rebirth! The project is amazing and everyone should help out in whatever way they can. This one may be hard to top next year. The web feels complete again! 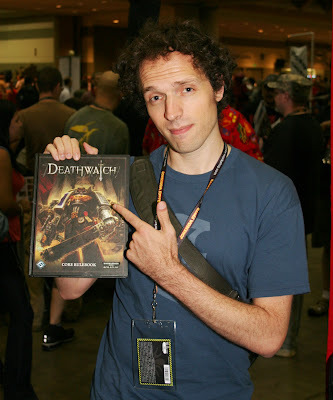 Drathmere: You Steel Legion guys are on your own... I'm loyal to the Emperor and that's why my work will go. Of course I have been known to change sides at the drop of the hat.